Roman Karmazin (40-3-1, 26 KO's) scored a sensational 10th round knockout over Dionisio Miranda (20-5-2 18 KO's) to open the season on ESPN's "Friday Night Fights". The victory was Karmazin's 4th in a row. 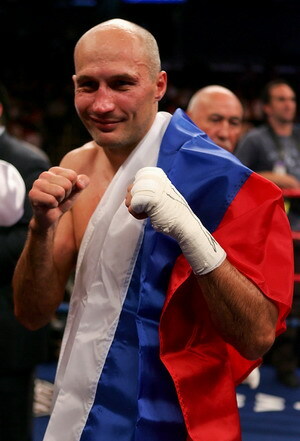 With the win, the 37 year old should be able to acquire a big name opponent for his next bout. The fight opened with a slow pace in rounds one and two, but the action heated up in round three when Miranda stunned Karmazin with an overhand right behind his jab. Miranda tried to finish him, although Karmazin showed great heart and made it out of the round. In round four, Miranda suffered a cut above his left eye resulting from an accidental clash of heads. Beginning in the sixth round, Miranda was much more fluid with his punches as Karmazin was trying to time him and connect with one big shot. Toward the end of the round, Karmazin staggered Miranda after landing some hard rights. In round seven, Miranda was working well behind his jab. As blood trickled down the left side of Miranda's cheek, Karmazin landed a stinging right-left hook combination to his head. In the eighth round, after Miranda missed with a right, Karmazin connected with a short, counter left hook. Then, Miranda hammered Karmazin in round nine with a flush right that sent the Russian into the ropes and down to the canvas. Yet, Karmazin was able to survive another round after getting nailed with a rock-solid punch. Finally, with the cut still bleeding down Miranda's left cheek, Karmazin threw and landed a grazing left hook-right combination to the head flooring Miranda. Subsequently, Karmazin attacked Miranda with a flurry of punches, landing two clean powerful rights in succession that sent Miranda down again. Time of the stoppage was 2:34 of the tenth round. 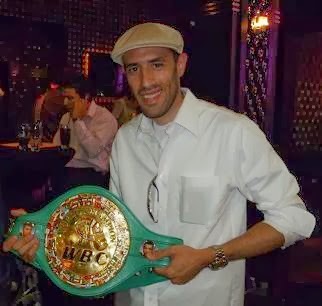 After his impressive victory, will Roman Karmazin acquire a fight with Felix Sturm or Kelly Pavlik later in the year? Or maybe he can attain a fight with a rising middleweight contender such as Danny Jacobs or Peter "Kid Chocolate" Quillin? Previously, Karmazin had captured the IBF Junior Middleweight title from Kassim Ouma, but lost it in his first defense against Cory Spinks. Hopefully, Karmazin can get a significant fight and showcase his skills on HBO or Showtime in the near future.